We work with women recovering from abusive situations on the Rosebud Reservation. The number one reason women return to their abusers is because of financial dependence. As part of the recovery process, we partner with the local women's shelter to provide women with training and payment in exchange for beaded products. By Grace works in a two-room area in a renovated home called "Her House." This is located next to the women's shelter. This provides a space for the women to work that is safe and clean. While they are beading, the women are able to form relationships and friendships. You can read more about the situation in this article For Native Americans Facing Sexual Assault, Justice Feels Out Of Reach, published by NPR. "Her House" is a great space - we are so thankful for it! There are a couple of items that need repairing. These include - painting, new lighting, new workspaces and new organizational equipment. These women have been through so much, we want this to be a beautiful retreat for them. Because of the state of poverty here, their access to items (there's no Target in sight) is very limited. 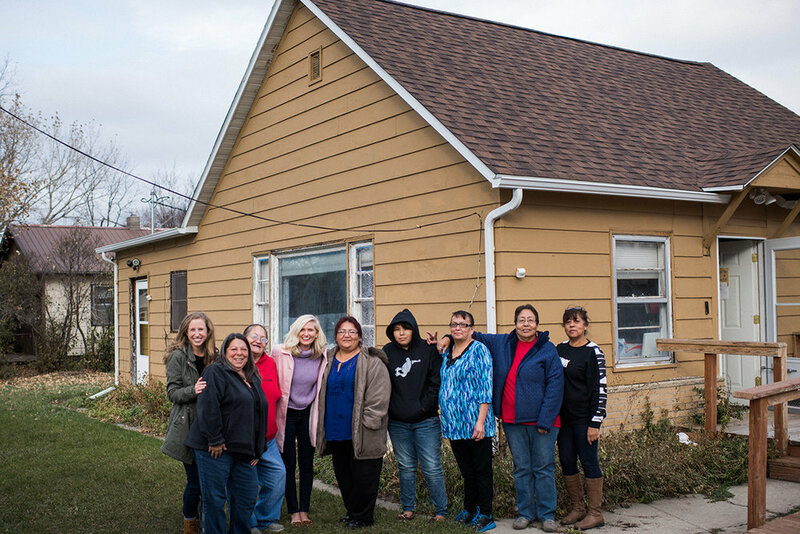 Collaborating with the women of the Rosebud Reservation on the By Grace line in the space of "Her House." By Grace and "Her House" are working to end violence against women. This is the sign on the entrance of the door. Director of the women's shelter, Janet, says she's "little but I'm loud." She has dedicated her life to fighting for women's rights and By Grace is honored to partner with her and her staff Debbie and Cheryl. We have hope - we are changing the world, one woman at a time.